The Internet has enabled millions of users an opportunity to do more than just surfing and watching videos and movies online. However, with innovative minds all over the world started to explore the world wide web and the state of technology available and developed some of the multi-million dollars companies. Streaming category alone worth over billions of dollars and they have changed the way we think of the Internet. Currently, we have smartphones, which revolutionized the world. An Android and iOS apps are now trending, and we have a streaming app called “Bonk Be Live” which falls under the innovation list. What is Bonk Be Live? Bonk Be Live is an Android and iOS app that revolutionized streaming online, and there are several functions and features that are not available in any other application on the App Store and Play store. Considering some services available online, why would someone choose one over Bonk Be Live? Your questions are valid, let us take you to the short futuristic look at the Bonk Be Live app. BonkLive development team is now working on the technical side, meanwhile, Greg Gifford is working on bringing more investments from venture capitalist and bankers to take Bonk Be Live public. By end of the year, the company will have the American management team along with 30 million new users. We talk a lot about the innovation and something new in the market, and we are going to list them one by one. Augmented reality – my favourite option, which is way early for social media giants like Facebook to have one in their apps. Integration with YouTube and Facebook. Sharing options – You can send a GIF, Video message, Audio message, and more. 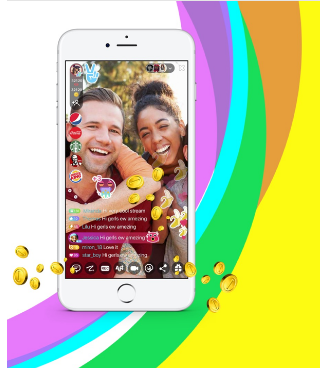 Latest features – You can create communities, profiles, social media wall, stickers, emojis, messages, private messages, and more. Monetization – If you are a streamer and want to make money via your live feeds, then you can do it as well. There are tons of options and features which will keep you entertained for a more extended period and no longer have to look for an alternative entertainment portal or apps. A lot of people do not know the differences between the Augmented reality and virtual reality. Some of you do not even know that having VIRTUAL in the last doesn’t make the technology same. We have so many options and unexplained technology that work you up. Virtual reality is something where Surroundings, Buildings, Objects, and other materials are created in the program, but the story is entirely different in augmented reality. The Augmented reality uses your surroundings and adds objects to it, which is similar to the Pokemon GO. As you already know that you can use the Bonk Be Live features to stream live to entertain the viewers throughout the world but did you know that you can add yo0ur friends to your stream? By inviting them, you can add multiple streams to one line, which is innovative and think of the possibilities you can do with this feature. In some cases, streams get shut down after receiving the phone calls, but it should not have any issues at all because you will receive the call during the stream and when you have disconnected your call, you will go back to the Live stream. The same logic applies to the Internet connection as well, as many connections get interrupted due to the technical reasons but once you have reconnected to the Internet, your stream will be resumed without missing anything. Many of you might be wondering does Bonk Be Live has all necessary features, which most of the Apps and Services have today? Of course, it does. 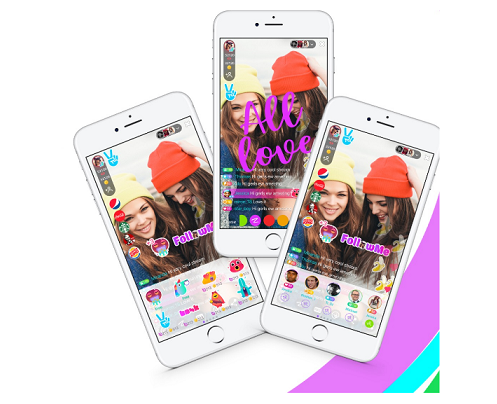 The Bonk Be Live team knows the importance of the present essential features, and you will find the highly customizable profile, where you can change themes, colors, backgrounds, Texting, Stickers, Posts, and more. When you are a favorite streamer on the platform, of course, you want to make few dollars out of the streams. There are plenty of options and funnels opened up for the streamers. You can make money straight from the fans – Fan funding earnings is higher than any other monetization. Paid advertising during the streams, which should help you generate good revenue. Notification ads, banner ads, and pop-up ads. You can even go for the Sponsor ads, which should do fine for you. The Bonk Be Live team has ensured that there are multiple options for the new users to come forward and try the Bonk Be live. You won’t be able to feel the Bonk Be Live until you download the app and try it yourself. Let us know your opinions on this in the comment section below. pretty interesting thing to hang aropund with in this hybrid world. almost all the Internet users. 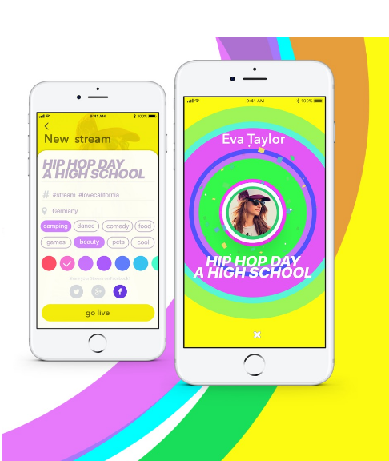 Features such as, monetization, sharing options and the most important Augmented reality. I know quite a few about Augmented reality and I am going straight away to search more deep in this section. This looks so promising and something which we all need to try out I am in for this one.